And so another month passes us by, and it's literally just this second struck me that we've been a five in six Me and Mine photos now... SIX?! Doesn't time fly when you're having fun? It really does feel like we've always been a five now; the dynamics of it just feel so natural. 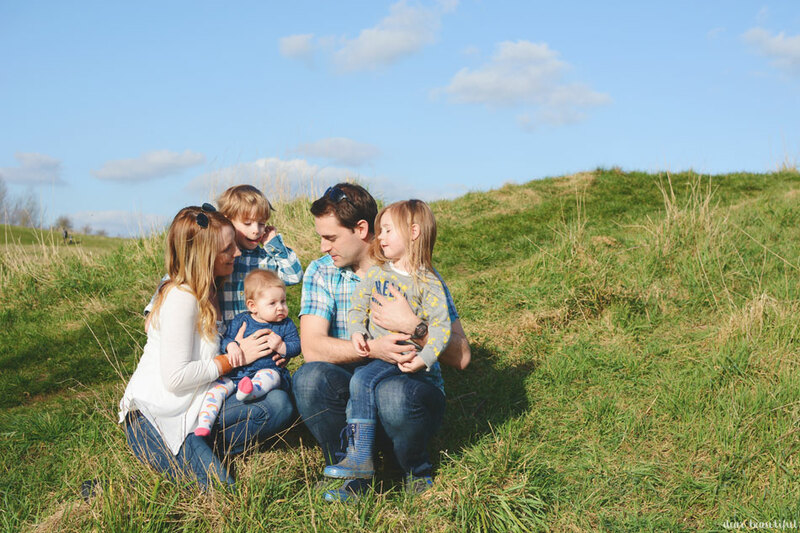 I know that people probably look at us with our three young children and wonder how we do it, but it all just works. 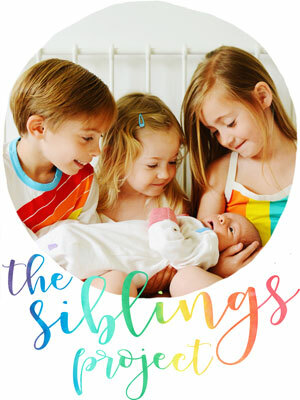 We've learned the best ways to juggle three little people in different situations; in fact Rich and I barely even think about it or discuss it now, we just do it. Dealing with our three little loves is what we do, it's our life, and we simply live it. And of course we love it. When I look at this little team of ours I'm just so amazed that they're mine, and so proud. 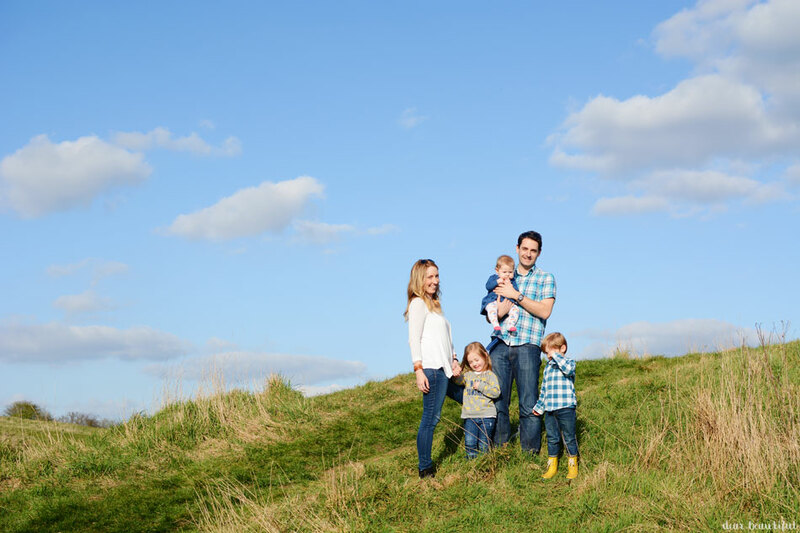 A long Easter weekend of family time (apart from the bit where Rich had to go to Germany to work) really did make me think a lot about how blessed I feel and how happy this little brood of ours makes me. 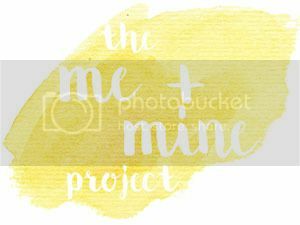 Last month I talked about how The Me and Mine Project sometimes forces us to get out to get our photo, and that we end up making some happy memories along the way. This month it was the other way around; we were out having a lovely time together just because we could and our photos capture that. It felt distinctly spring like the day that we took these photos. Look... we aren't even wearing coats, which felt so so good! And I can spot more than one sun induced squint. The sun was shining, we'd been out for lunch and then on to the country park for some adventures together. We climbed and ran and explored. We stayed for a long time eking out every second of the first properly sunny day of 2016, we came home muddy and windswept and with a full dose of fresh air. We also came home with the taste for more adventures. That little hint of sunshine has made us so excited for the months ahead, months full of the outdoors and hopefully plenty more of the bright and shiny stuff too. I am definitely ready for Spring now, and for the wet and cold weather to be behind us for a bit, the world just seems so much nicer with a big blue sky. 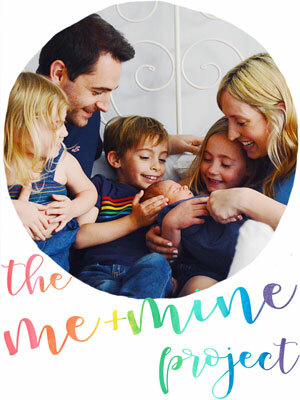 Make sure you tag your family photos with #meandmineproject on Instagram, and we'll share some of our favourites. And link up your family photos at the bottom too, I can't wait to see them all. 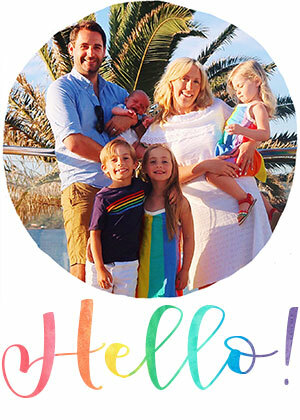 Of course, do remember to pop by my cohost's blogs and see what Alex, Fritha, Jenny, Katie and Lucy's families are sharing this month. 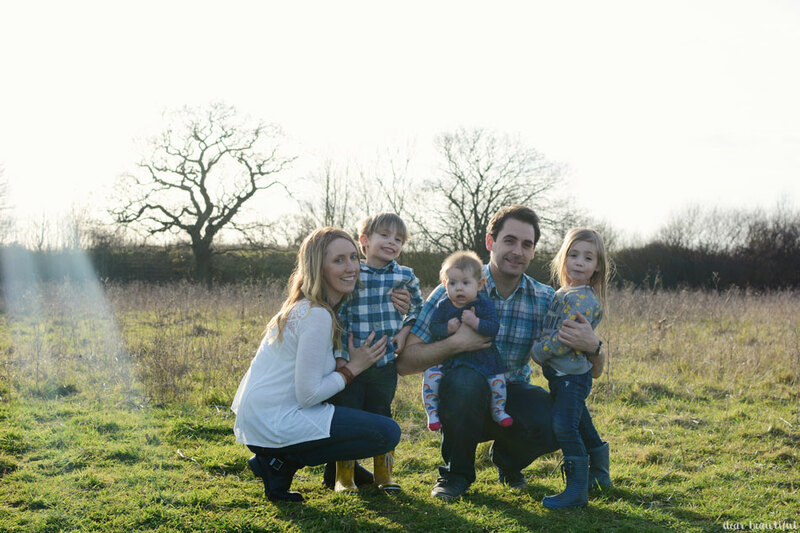 It sounds like you've had a lovely month Lucy - I can't wait until we get to the point where managing just two children gets easier, at the moment it feels like every day is a bit of a fight for survival! That's not been helped by a month of coughs and colds for all of us and added teething for Gabe. We're really looking forward to some better weather too and hopefully getting out a bit more in April. Thanks again for hosting - I can't believe this is your sixth month with the littlest in your photos and it's the eighth month for us with Gabe, time is racing by! Oh what a gorgeous sunny day you had - definitely the promise of good things to come!! We had sunshine but it was Yorhire and therefore cold so everyone is in spring dresses and massive coats!! And I know exactly what you mean about five just being your normal, I find I forget what four felt like, and when we are just a four I can really feel the space where that missing person should be. I love them Lucy! Gorgeous! Oh! Your photos just make me hungry for more spring... Look at those gorgeous blue skies! No wonder you wanted to stay out and make the most of it! Thank you so much for hosting this lovely linky as always... Definitely one of my faves! Gorgeous scenery. Looks like a quite enough warm day there. I can't wait for the days where you don't need a jacket anymore. But this year Spring seems to take its time. Such lovely sunny photos, I love seeing the sunshine in peoples photos. Makes me really want the summer to hurry up and come along!